This week we divided to conquer all the work we needed to get done. We had a couple people work on improving the candy robot for this summer. 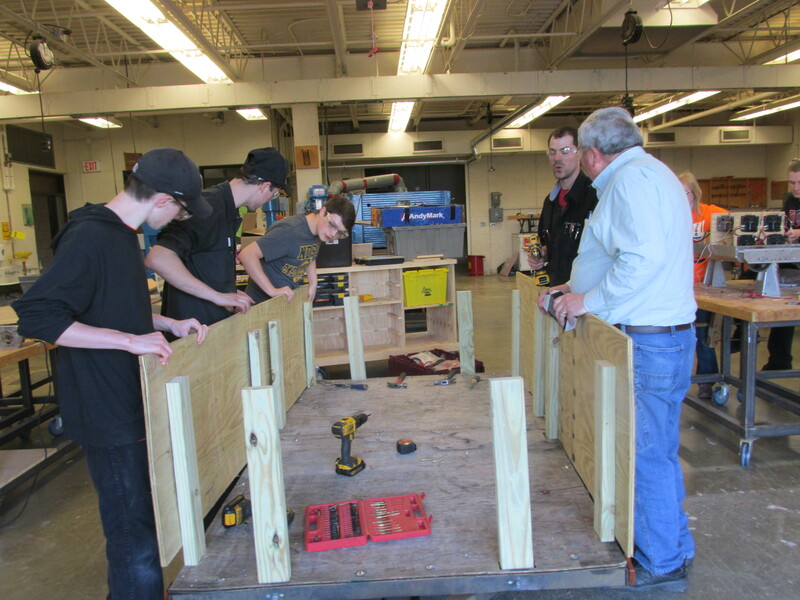 The rest of the group worked on taking apart and fixing the trailer that we will be using during the summer parades. We had a couple people work on cutting pieces of wood, some working on placing the wood, and everyone else helping to assemble the wood pieces into their correct spot and screwing them into place.